We moved to Richfield on the 13th of December. Tylers Aunt Pam got married to a guy from Panguitch and they have to live there until he can retire. So since we were going to be in Richfield she asked if we wanted to take care of her house and grow her some grass and things like that until they can move back here for good. Major hook up huh? Remember that first big huge snow storm that we had? Cars sliding off the road everywhere and too much snow for the plows? Well it was that day/night that we moved! 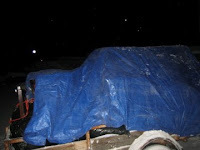 It was so cold that taking things out to Bretts trailer took twice as long ha ha. 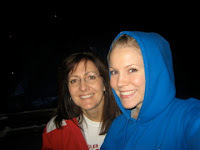 Me and Donna were a lot better off than the boys though because most of the time we stayed inside and packed boxes. 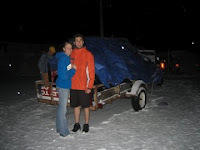 :) The trailer we packed was huge! It was either pile it high or have to go back for another load later. We just wanted to get it all done! Finally at like 10pm we head to our new home in Richfield Utah. We both agree that it's nice to have a whole house to ourselve that we don't have to pay for! It's been so nice so far! We have had a lot of fun!